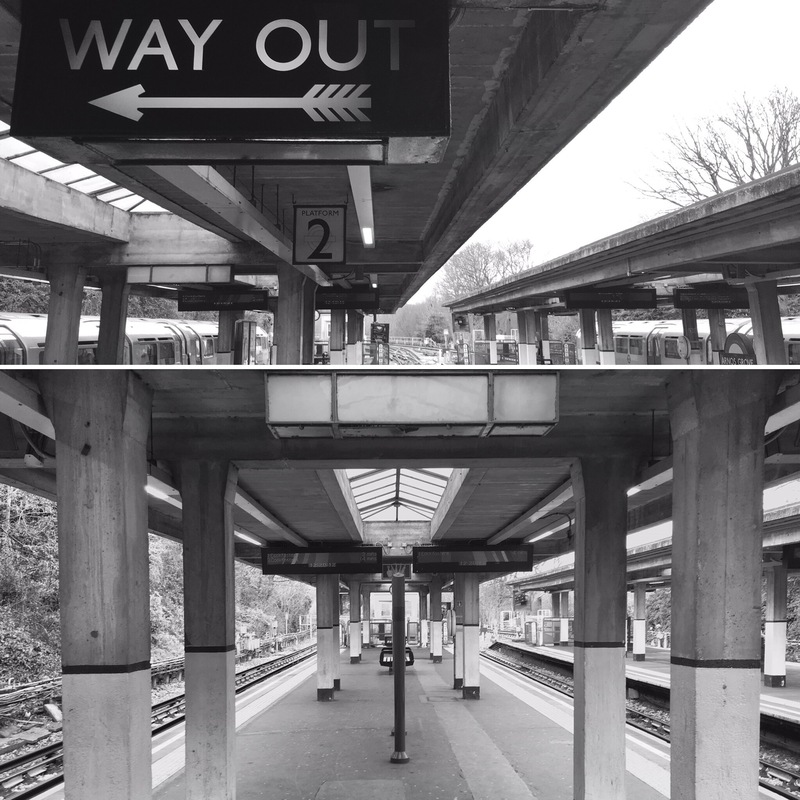 I never really pegged Arnos Grove as being particularly interesting, both in or out of the station but I must say I was pleasantly surprised. The line briefly surfaces here and this is the first station since South Woodford (001) that is above ground. There’s a lot to see at Arnos Grove and choosing a picture was difficult. There’s the perfectly symmetrical platform canopies, the period platform signage and way finding, and the circular drum shaped station building is possibly the most impressive Holden we’ve seen so far. The highlight of this practice was the walk between Arnos Grove and Southgate (011), taking in perfect suburban streets, picturesque parks and a quite unexpected village green.